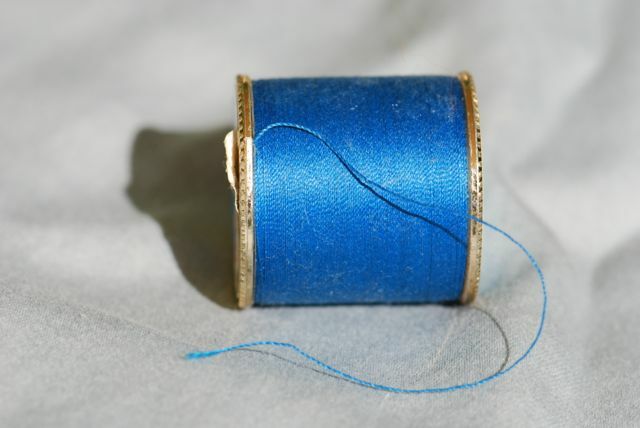 Today let’s take a look at A Spool of Blue Thread by Anne Tyler from a writer’s perspective (the discussion started here). This post contains some big spoilers. Summary: This novel follows the lives of a Baltimore couple, Red and Abby Whitshank, and their family. It is literary fiction and was shortlisted for the Man Booker Prize in 2015. Anne Tyler is known for her character-driven fiction, and there’s plenty of evidence of her forte in this novel. She introduces the main characters in the first sentence. Late one July evening in 1994, Red and Abby Whitshank had a phone call from their son Denny. It’s pretty clear that these three share main character status, rather than having a single protagonist. You could argue that Abby was the main character, but (spoiler alert) little of her back story is given compared to Red’s, and she dies before the end. Red isn’t a clear protagonist, either. If you had to choose only one, you could make a reasonable case for Denny, although it is often his absence that has the biggest impact on the family. He is also the character who has grown and changed the most by the end of the book. Because she has won the Pulitzer Prize and because this is her twentieth novel, we’d expect that Anne Tyler’s dialogue would be superb. That’s why it was surprising to find a glaring example of “maid and butler” dialogue on page 4. (As Brandon Sanderson explains, Maid and butler dialogue occurs when characters chat about details they would already know solely as a way to inform the reader. ) Abby speaks first and Red answers. Obviously Abby already knows everything that Red says, except whether Denny had mentioned where he was calling from. The whole thing could be prevented by lopping off all but the first sentence. Seeing this mistake in the light of the otherwise sparkling dialogue is kind of endearing. With the exception of a trip to the beach, most of the action takes place in the family home in Baltimore. The house was built by Red’s father Junior. It is so central to the story that it becomes like another character. Another theme is the women are the ones who choose their men in relationships. One of the family stories reveals that Merrick chose Trey, even though he was engaged to her friend. Once she decided, she single-mindedly won him over. Abby chose Red over Dane when she spotted Red counting tree rings. In the earlier generation, Linnie decided that she wanted Junior, at a great cost to herself and largely against his wishes. The plot is not linear, but goes back and forth in time. In the conversation between Anna Quindlen and Anne Tyler in the back of the book, Anne reveals she intended to keep writing the stories of the family’s ancestors, traveling back through the ages. Eventually she grew tired of the ancestors, however, so she stopped with Linnie and Junior. She also reveals that she is “hopeless with plots.” She lets her characters tell their stories. If you enjoy character-rich literary fiction about family relationships, this novel is for you. It is as warm and comfortable as a hand knit sweater. The complex dynamics between characters feel realistic. The black sheep son, the closely-guarded family secrets, the conflicts, and the struggles of the children wondering how to best help their aging parents will resonate with many people. For example, Junior’s battle with Linnie over what color to paint the porch swing is the kind of trivial conflict that emerges from deeper power struggles that are so typical for many couples. Like a hand knit sweater, the novel does have a few flaws. The plot was the weakest part of the book. The extensive backstory of Linnie and Junior’s relationship seemed unnecessary and out of place, although to be fair it did add to the themes. The book would have been stronger if those sections had been condensed or even left out entirely. Overall, A Spool of Blue Thread is the kind of novel you can wrap yourself up in on a rainy day. Have you read A Spool of Blue Thread by Anne Tyler? We’d love to hear your thoughts. If you ever have questions about what we are reading next or when we’re starting the next discussion, check the 100 Book List tab in the navigation bar at the top of the blog. Links in the list go to the landing page from this blog where the discussion starts. However, this is an open-ended challenge so feel free to jump in with any of the books at any time after the discussion starts. The next book is number 83. Hotel on the Corner of Bitter and Sweet by Jamie Ford (2009) – Discussion begins July 10, 2017. I did feel that the house was one of the characters of the book. Almost all the important scenes deal with the house in some way, whether the porch swing color issue, or Abby watching Red count the tree rings, or the attention Junior lavishes on the house. It seemed much more central to the story than just being part of the setting. As for dialogue, I have taken part in “maid and butler” conversations. I can totally see a married couple stating the litany of obvious points, flaws in the wayward child’s life, in a frustrated moment of exasperation. And I actually thought the backstory of Linnie Mae and Junior added to the story. It totally changed my view of those two characters and provided a better understanding of Red and Merritt. I hadn’t noticed the reader’s guide at the end of the book till you mentioned the Anna Quindlen interview. Now that I’ve read the reader’s guide questions, I’m completely befuddled because I honestly don’t know the answers to a lot of the questions. The significance of the crying kid on the train, for instance. Is it something like we all have our private misery and just need to be left alone to deal with it? Or is it something more specific to Denny? I agree this is character driven, certainly not plot driven, but I thought some of the characters weren’t as distinct and fully fleshed out as they could have been. Amanda and Jeannie, in particular, never came to life for me at all. And I’m really not satisfied with Denny. Maybe it’s because the author never really gave us his point of view (unless I’m forgetting it) as she did with other characters. I might argue that it’s more theme driven than anything. There are a bunch of them. Great comments. About the crying kid, I thought it meant that Denny had finally learned to distance himself from the traumas of his childhood. He had forgiven Abby and was going to move forward with his life. A lot of what was going on with Denny was subtle. He was probably the most perceptive. Yes, Amanda and Jeannie were mostly cardboard fillers. You understood a lot more about the Denny character than I did, Roberta. Either Tyler was too subtle or I don’t notice subtleties as much as I should.